We do not propose to change fundamentally the licence criteria, as they are criteria which the evidence suggests are necessary to realise the overall reduction in TB in cattle in culled areas achieved in the RBCT. The rationale for each of the criteria is explained in the [December 2011] Policy Statement. The problem is, only 30% of the relevant badger population has been killed within the 6 week period in that area – well short of the 70% minimum target which had been identified as “effective”. Now that the licence issued under section 10(2)(a) Protection of Badgers Act 1992 to allow for the culling of badgers over the 6 week pilot period in Gloucestershire has expired, DEFRA is seeking an extension of 8 weeks’ shooting. But they are not entitled to do that, say the Trust. The cull has thus met its purpose in testing the “effectiveness” (in DEFRA’s terms) of culling. It has shown it not to be effective. without the cull having been monitored or evaluated at the end of the 6 week period by the independent expert group, as had been promised. The Trust also argues that this extension is being sought on inadequate scientific advice. In the light of those matters we consider it would be unlawful for Natural England to grant the new licence now being sought. The intervention by Natural England’s own chief scientist at this stage, could be fatal to any move to allow the extension. 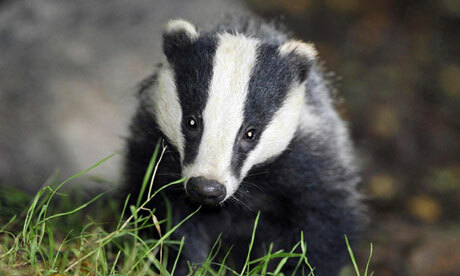 He told the Guardian that his “personal opinion” as a biologist is not to continue the cull. One could not have significant comfort that the original proposals would deliver gains to farmers. Extending the cull would make the outcome even less predictable and even more unpromising. I have been following this issue for a number of years now. What neither side is saying, or has ever said, is that the science for/against is very finely balanced and equivocal. Each side’s propaganda has not allowed them to say this. So I assume the judge will tend to come down on the side of the government?